For Sale in Peterborough for Guide Price £700,000. Development Opportunity In Sought After Village. 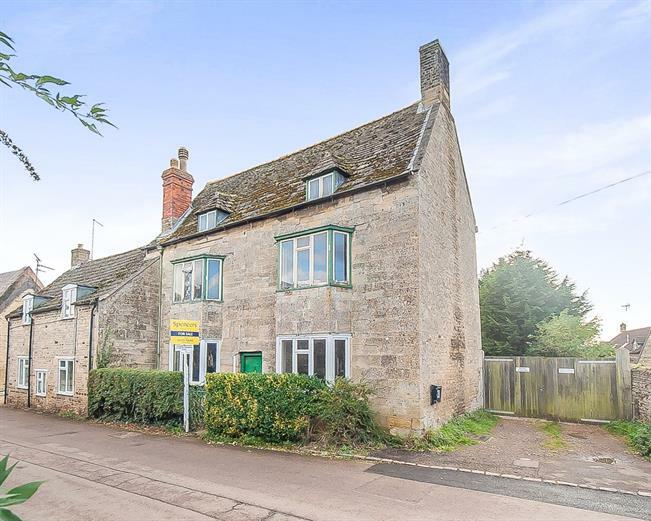 Standing on a plot of around 1.5 acres or thereabouts this is a rare opportunity to aquire a stone built Grade 11 listed property which sits in the heart of the village of Woodnewton. The house itself requires significant modernisation/improvement to restore back to a substancial 4 bedroomed family home. In the grounds is a detached derelict stone cottage , and to the rear is a detached barn/workshop which has full planning permission for demolition and the erection of a new five bedroom detached home which would benefit from extensive gardens and fabulous views with gardens bordering Willow Brook.. Plans for the site and further information or an appointment to view can be obtained from Spencers in Oakham on request.